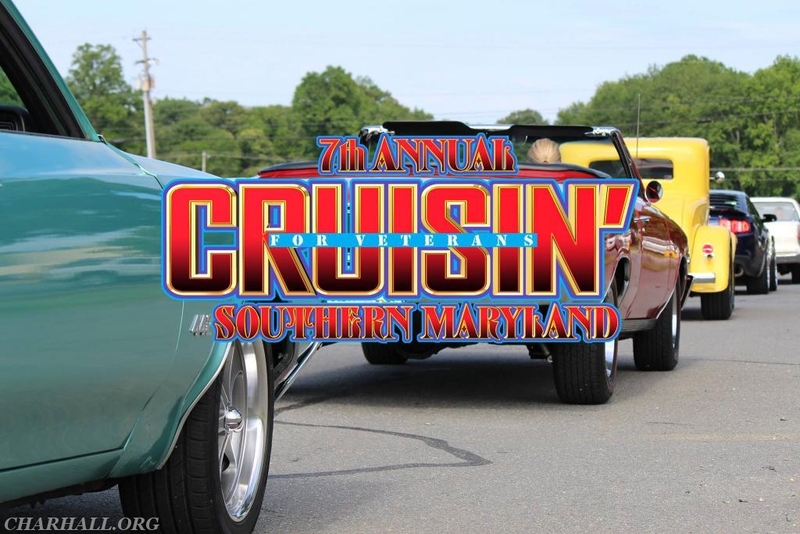 Crusin SOMD held The 7th Annual Crusin' SOMD Car show on May 26, 2018. The 100 mile cruise had over 170 cars, & trucks registered which ended here at Charlotte Hall Veterans Home. Over the years Cruisn' SOMD has raised $82,000.00 for our Veteran's here at Charlotte Hall. Crusin' Sponsors outing to place such as Smith Island, Baysox and Blue Crabs games. They have purchased rehab equipment, and a new pillion. Events such as Proms, Winter Balls, Crab Feast, Oyster Scald, and many more things. Our Veterans love this event and enjoy getting out and seeing all the wonderful cars. The Day was a success. Thank you Crusin SOMD for always supporting Charlotte Hall Veterans Home and our Veterans.